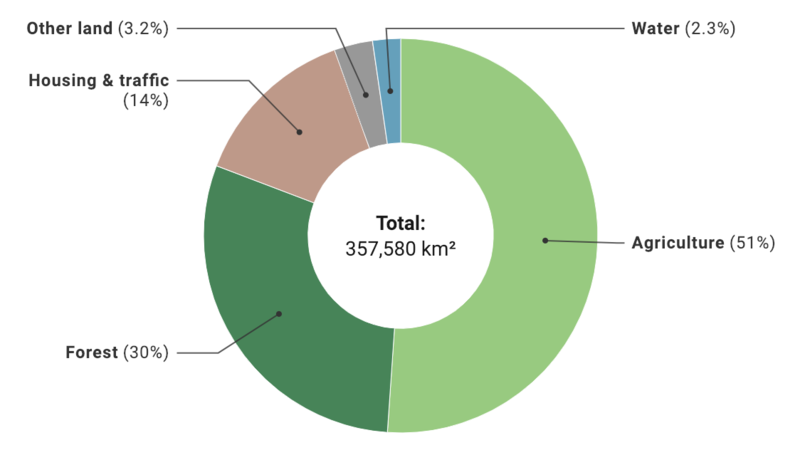 Once you have uploaded your dataset into Datawrapper and selected the donut chart, you can customize its appearance in step 3: Visualize. Select column: Here you can choose the column that you want to visualize. By default, your first numerical column is chosen. 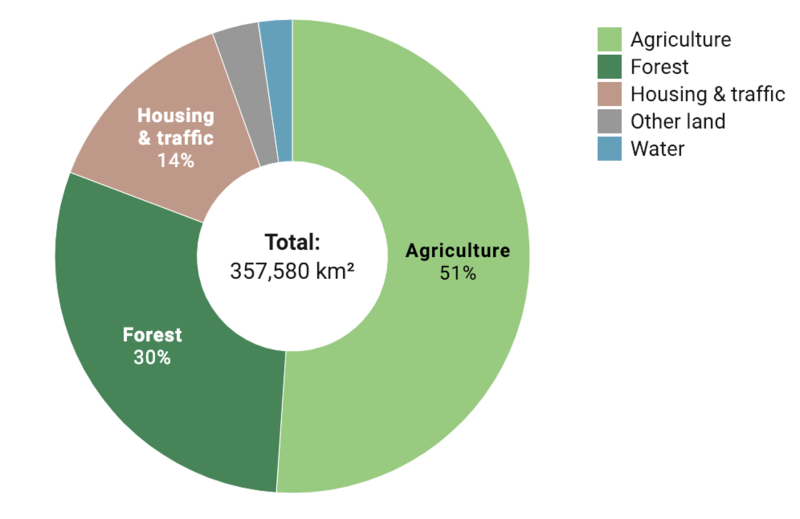 Please note: Your donut chart can only show one numerical column. If you've uploaded more than one column with numbers and want to show all, choose the "Multiple Donuts" chart type instead. Outer radius: You can decide how much margin your donut should have to all sides with this setting. Choose a small percentage to keep the total chart height small. Inner radius: Here you can choose if you want your donut rather thin or thick. Sort by: By default, the slices in your donut are sorted from largest to smallest value. So even if your original values are not sorted, the final donut chart is. 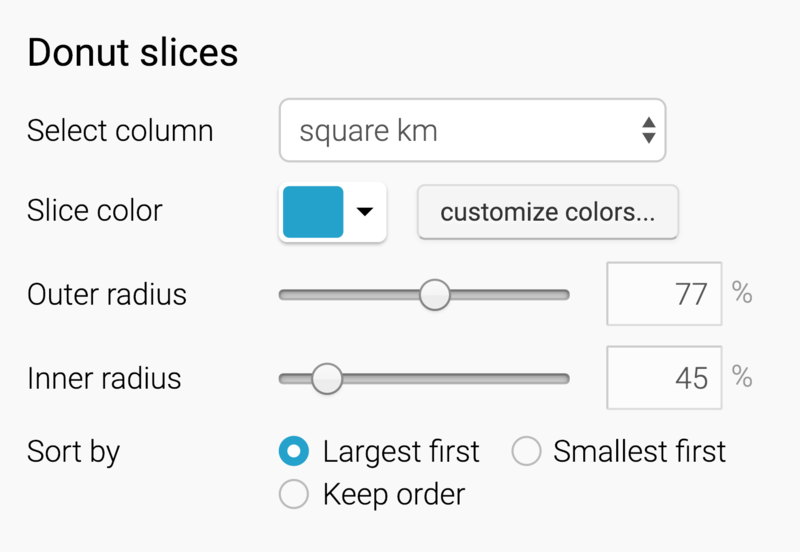 You can click on "keep order" if you want to have your donut slices sorted according to you original values. Convert values to percentages: You can upload absolute relative or absolute numbers to Datawrapper to create a donut chart. In case you uploaded absolute numbers (like we did for the chart above) and want to show percentages, make sure to enable this option. Show value inside donut: You can display a value inside the donut hole. The first option is to show the sum of all pie slice values (if you uploaded relative numbers, that number should be 100%). Or you can decide to emphasize the value of one donut slice by choosing "Show single". 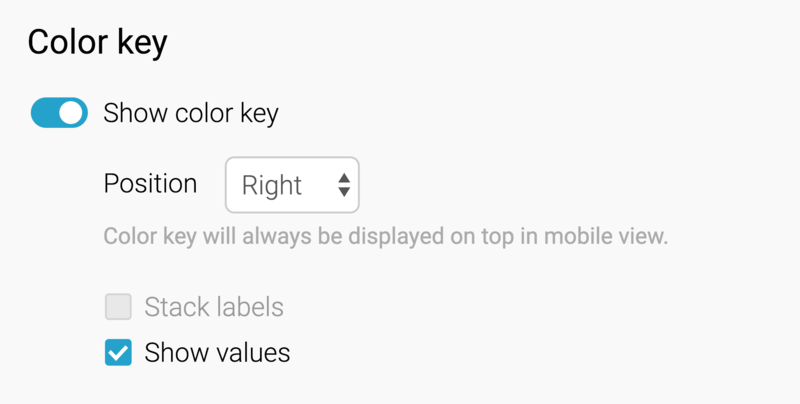 Finally there is the option of showing custom text, if you do not want to use any values from the dataset. Stack labels: Instead of listing the donut slice names next to each, you can stack these labels. That's only possible if "position" is either "top" or "bottom". The last group in the Refine tab is "Grouping". 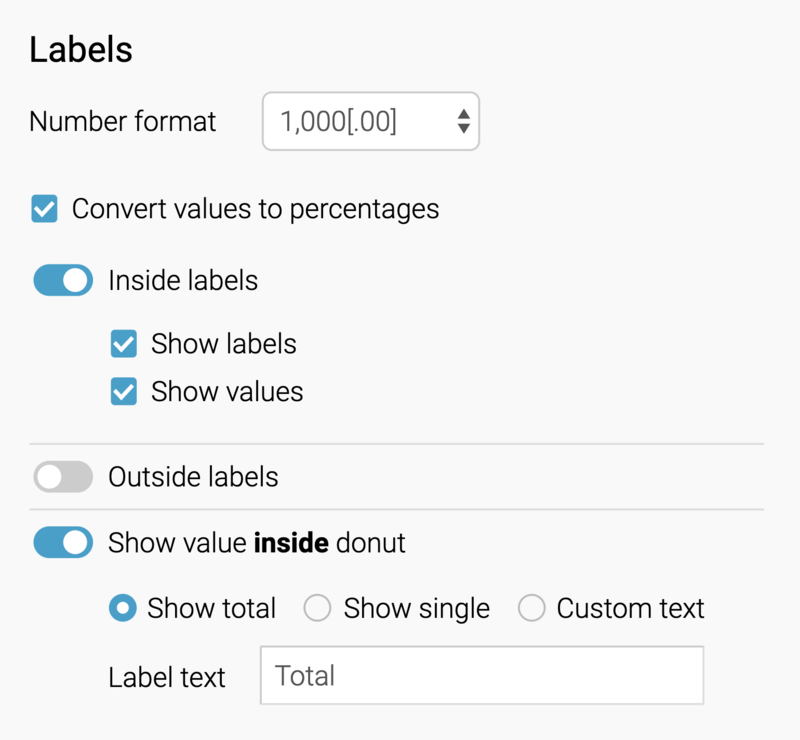 If you upload more than seven donut slices, the smallest donut slices will be automatically grouped in one slice with a label. Here you can define that maximum number of slices, and what that slice label should be.